Os Sims 3: Ambições Profissionais"
"The Sims 3: Ambitions is the second expansion pack for the strategic life simulation computer game The Sims 3. It was released in June 2010. The Sims 3: Ambitions introduces new career opportunities and control mechanisms into gameplay. Manipulation of Sims' career progressions, actions and interactions during their working are feasible. Additional career pathways introduce a diversity of skill sets available for acquisition. 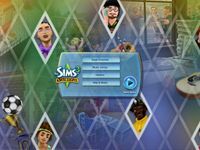 These features, which were absent in The Sims 3, give players greater control of their Sims' career pathways, choices and lives." Source: Wikipedia, Sims 3 ambitions , available under the CC-BY-SA License.